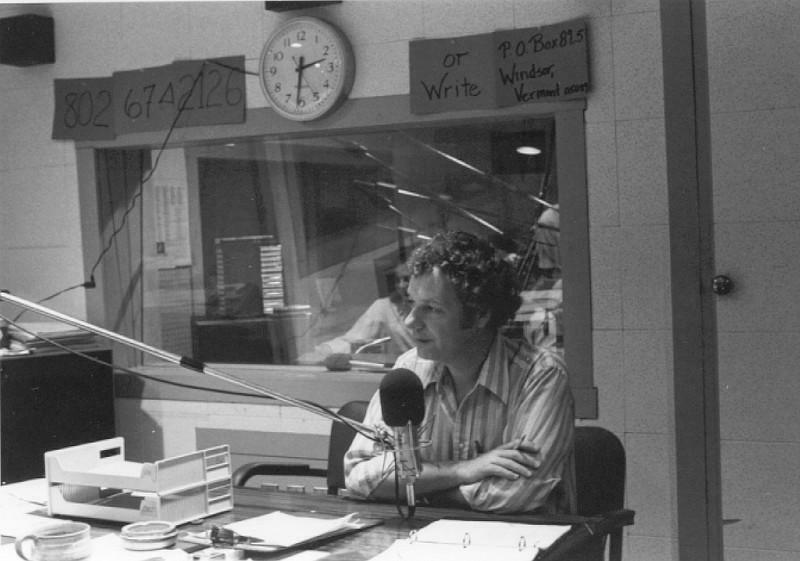 Founding VPR General Manager Ray Dilley, on the air during a membership drive (1980). That might not sound like a lot. But here's the real catch: we still need to make our goal in order for VPR to remain on strong financial footing. The question is, can we do it in less time than usual? So just like those that came before us (for example, Ray Dilley pictured here), we are going out on a limb and putting our faith and trust in you, the listener. We anxiously sit by the phone (and now computers, too) hoping - knowing - that you will think about what VPR means to you and make a gift to support this important service.